The Creatures are Coming to Life is a fascinating panel discussion about bringing creatures to life from concept and design to sculpture and visual effects with famed creature creator Cesar Dacol Jr. These creatures reside in the dark corners of our dreams and nightmares, and our accomplished panelists will detail their process to making these creatures inhabit the emotion and worlds of many beloved films and television shows. They will share their inspiring journeys as artists and let us peak into the studio with a Creature Walk-Through that reveals the painstaking creation process and the imaginative rewards. 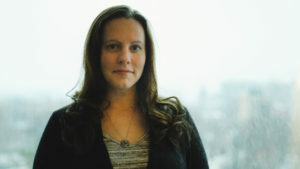 Amanda began her career in post-production as an assistant editor for a commercial post house. Realizing that she much preferred the production management side of assisting, she transitioned into an editorial producer. When a flame suite opened up she jumped at the chance to work in VFX. During her 15 years in commercial VFX she worked with such clients as Budweiser, McDonalds, Coca-cola and Lexus. In 2016 Amanda joined Spin VFX to fullfill her dream of “making movies”. Her credits include Disney’s Decendents 2 & 3, Amazon’s The Expanse and Netflix’s Stranger Things. Dacol has been bringing creatures and characters to life for 20 years. He started his career in the makeup effects industry and transitioned to CG in the mid 90s. 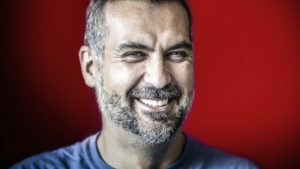 From designing the hero dinosaur, Gigantasaurus, in Journey to the Center of the Earth to the Werewolves in The Mortal Instruments, this talented artist has carved a path in animated features such as The Wild (Disney), Happy Feet 2(Warner Bros.), and live action features that include, Fantastic Four (20th Century Fox), 300 (Warner Bros.), and The Incredible Hulk (Universal Pictures). Tenille Shockey moved from B.C. to Toronto over a decade ago to pursue a career in Prosthetics and Makeup effects. After graduating from CMU at the top of her class she immediately started working in MakeUp FX workshops and doing set work in Toronto. 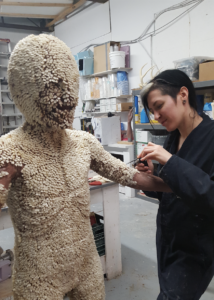 Driven to learn as much as possible, she has developed technical skills from mold making, silicone casting and seaming, to artistic finishing such as hair punching, painting and fabricating. On set applications of various prosthetic makeups from creatures to old age for various fx companies, including execution of makeup fx “gags” are all part of her skills. Shockey’s credentials include TV series; Hannibal, Saving Hope, Killjoys, 12 Monkeys, Channel Zero. Feature film work include; Pacific Rim, Silent Hill 2, Jigsaw among others and recently has worked on Scary Stories to Tell in the Dark, IT chapter 2, A Dogs Journey, and is currently working on a Netflix TV show Locke and Key. When she isn’t making strange things at all hours of the night, she’s usually in a different country having backpacking adventures.